The Team — ¡LAS SANDINISTAS! JENNY MURRAY(Director, Editor, Producer) is a filmmaker from Chicago. 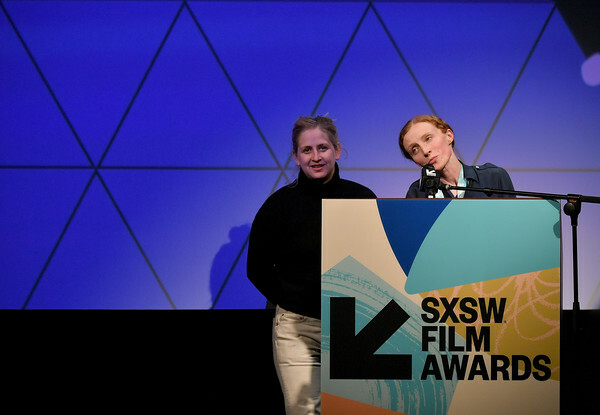 “Las Sandinistas,” her first feature documentary film, premiered in competition at SXSW 2018 where it won a SXSW "Special Jury Recognition" Award. The film went on to win both the top "Jury Prize – Best Film – New Directors Competition" and the "Audience Award for Best Foreign Documentary" at Sao Paulo International Film Festival, and also won the CineLatino Film Festival Audience Award. Las Sandinistas premiered with theatrical runs in London at Bertha DocHouse and in New York City at the Film Forum, and will have its broadcast premiere on PBS DocWorld in March 2019. The film was co-produced by ITVS and was also an IFP 2017 Documentary Lab selection. Jenny graduated from Columbia University in New York where she studied Philosophy, Photography, and Latin American Film and Literature. After working as a licensed Associate on Watermill Trading’s stock trading desk in New York, she directed two short films and multiple social satire comedy videos, which have been featured on Twitter by television critic Emily Nussbaum of The New Yorker and screened at Anthology Film Archives in New York City. SARAH WINSHALL (Producer) is an independent producer championing personal films with unique worldviews. Her work includes short films “Affections” (dir. Bridey Elliott, Sundance 2016), “Whiskey Fist” (dir. Gillian Wallace Horvat, SXSW 2017), and “Men Don't Whisper”, (dir. Jordan Firstman, Sundance 2018). Her first narrative feature film, Clara’s Ghost, starring Chris, Abby, and Bridey Elliott will premiere at the 2018 Sundance Film Festival. Previously, she spent several years distributing independent films and social documentaries for Seventh Art Releasing and Quantum Releasing. She is also a film critic whose writing frequently appears in Under the Radar, Screen Slate, and Filmmaker Magazine.